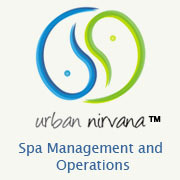 'Urban Nirvana Wellness Corporation LLP' is a Spa Operations and Management Company, primarily taking Operations Contracts of Hotel and Resort Spas. Urban Nirvana strength lies in attention to areas like Great Spa Experience, Trained and sustained Manpower support, creating Brand Impact and ultimately Making the Spa a Profit Center. With a strong dedicated team of Operations, Training, Business Analysts, UNWC provide complete Spa Operations solutions for the success of the Spa.